Normally I blog about things I've already done, but in this post I'm going to share a few things I'm excited to try this year. I'll let the folks who've already tried them do the explaining. Goosechase: This is a scavenger hunt app I first read about on El Mundo de Birch. I think it sounds like a great review activity. Emojis: I love this post about ways to use emojis from Musings from the Island. I can't wait to try out some of her ideas! Triventy: This is a collaborative quiz app I first read about on Maris Hawkins blog. I love having students take charge of the learning so this seems like a great tool. Google Scoot: My colleague Susan Frost first directed me to this activity on Erin-tegration. I love an excuse for students to get out of their seats, so this activity seems like a great blend of technology and kinetic learning. 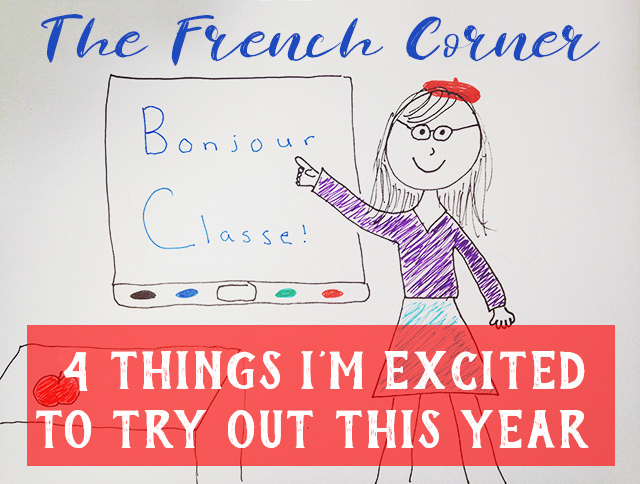 What are you excited about trying out this year?